I recently did a review on Argan oil, what it is and why its useful. Click here to read that review. Nonetheless, I decided to review two currently products out on the market who offer Argan oil and see how they match up. I received a large sample size bottle of Josie Maran Argan oil with a purchase of my Clarisonic Aria. I put it away in a drawer and didn't use it for almost a month. However one day while googling the net, I decided to check out what Argan oil actually was and if this product was worth adding to my skincare routine. This oil is also helpful for dry skin, cracked feet, dry hands, dry hair and so on. It provides many great benefits then just for the face. I decided to try Josie Maran Argan oil out as my last step in my skincare routine morning and night. I was amazed on just how awesome it made my skin feel after one use. It moisturize my skin and didn't clog my pores. It left behind no oily residue or awful smell. It got rid of all my dry patches and really made my makeup go on beautiful with no dryness to emphasize. However, after much googling I realized that while it does provide amazing benefits, it is not the end all and say all of skincare. Proper skincare involves other products and ingredients in order to help clean, clear and moisturize your face. 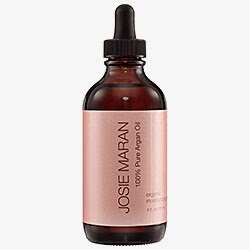 While this oil surely does provide great antioxidants to your skin and other great benefits, nonetheless the price tag on this oil for buying pure 100% Argan oil from Josie Maran is off the roof. While Josie Maran is for sure selling pure Argan oil, nonetheless you can buy the same exact product for less. 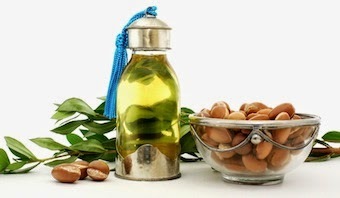 Argan oil is Argan oil no matter where you buy it as long as it is the real deal with nothing added. 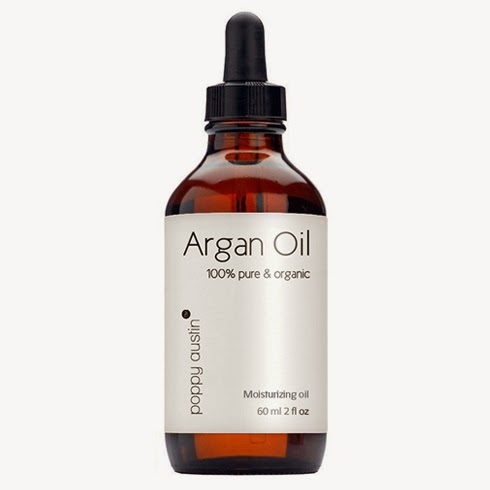 Poppy Austin sells the same thing, 100% pure Argan oil for almost double the size and a hell of a lot less in price. This comes in a 2oz size for $26.55 which you can buy off amazon.com and have shipped for $7.00 to Canada. This texture is light weight and the odor is very faint in a nutty kinda of way. The bottle is dark with a droplet and has no added fillers in the formula. It is very silky and smooth and didn't sit on my skin. It absorbed nicely and didn't clog my pores or cause breakouts. My skin felt moisturized and amazing after just one use. I wasn't left looking oily either and underneath my makeup it gave my face a health glow. Garden of Wisdom sells 100% Argan oil in three different sizes for a very reasonable price. The oil is organic, cold pressed and bottled in a dark glass jar. This oil comes in 1oz (jar and plastic bottle) and 4 oz bottle. However due the components of the oil, I recommend you get the 1oz in the dark bottle with the droplet in order to protect the antioxidants from light and air. The truth is, nothing that Josie Maran or Poppy Austin is selling is actually new or different from Garden of Wisdom. It is the same oil you can get at a health food store or anyone selling Argan oil. So shop around before you decide to blow money on a product that you can find anywhere else for less. However for me, Poppy Austin is a winner in regards to the cost, bottling and integrity of the oil. I find their cost for a 2oz bottle reasonable and hence why I would pick this product over Josie Maran.